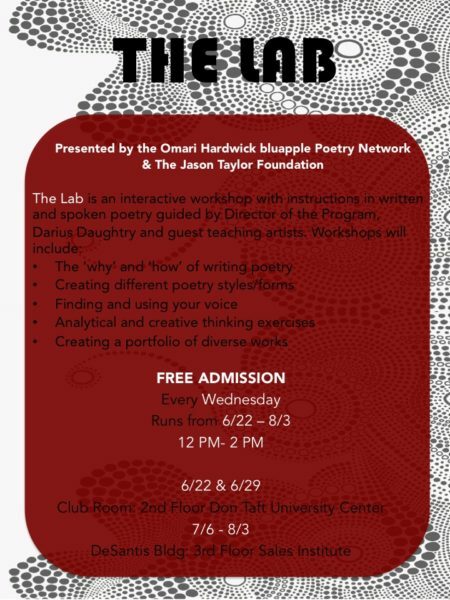 It’s that time of year again; following the wildly successful Louder Than A Bomb Floria Poetry Festival, the Omari Hardwick bluapple Poetry Network has partnered with with Nova Southeastern University to host The Lab, The Lab is a series of interactive workshops with instructions in written and spoken word poetry. It is designed to help the poets and support the teaching aims of the bluapple poetry network. Since its launch in 2013, the Lab has seen hundreds of students attend its sessions, producing new material in spoken and written word poetry. 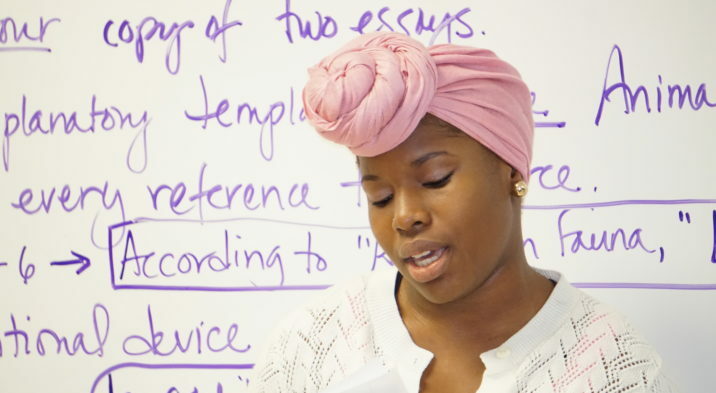 The Omari Hardwick bluapple Poetry Network, a spoken word poetry program, is now offered in nearly 60 public schools across South Florida and encourages students to connect on a weekly basis, empowering them and utilizing the critical literacy skills they have learned as a vehicle for self-expression. In addition, over $140,000 has been raised towards college scholarships, student advocacy, and mentorship. The admission into The Lab is free and is open to all students during the summer, and it will be held on the main campus of Nova Southeastern University. The Lab workshop will run every Wednesday during the summer beginning June 22nd. The Lab is run entirely by the Jason Taylor Foundation, but we are always open to generous donors to make contributions in support of the Lab and other bluapple poetry network programs. The Jason Taylor Foundation supports and creates programs that facilitate the personal growth and empowerment of South Florida’s children in need by focusing on improved health care, education and quality of life. For more information on how to become a donor, visit our donation at Donate.